And OK, I know gift guides are freaking everywhere. But I admit, they’re actually one of my favorite things to piece together. As a kid, I would constantly pack for my dolls, explaining their outfit choices. I perused catalogues from Ikea to American Girl to Cabelas, making notes on post-its (never buying anything, I was 8 at the time. But I really liked Ikea’s clean aesthetic for office furniture). Anyway, while I know you’re all likely inundated with gift guides, I still wanted to put one together, mixing a bunch of my favorite gear that I’ve used for the last year that I would 100 percent recommend someone give as a gift. That said… The best present you can give for the athlete in your life—in my opinion, at least—is the gift of adventure, so if you can coordinate a trip to a new park or wild spot you’ve never been, sign the two of you up for a class you’ve never taken (aerial silks, anyone?) or some other experience-based adventure, that’s freaking awesome. (I’m partial to something like a bike skills session or clinic with you and a friend or two, so you get the benefit of the experience as well!) But, of course, most of us aren’t in a position to gift everyone with a trip. So, here are a few of my favorite options for the outdoor-inspired crew in your life! Obviously, the Athletic Bookworms are in the middle of reading Mindful Running right now, so this book is a multi-purpose gift. First, it avoids the random running training book gift that ends up getting ignored because the runner in your life doesn’t want a new 5K training plan. (If he or she does, he or she should probably choose one.) I love this book because it’s practical and has great advice and exercises for runners, but it isn’t going to teach you how to train for a 10K in 8 weeks or a specific goal like that. It’s going to change the way you think and approach a run—and it’s been amazing for me so far, so I can’t say enough good things about it! The Ciele cap has been my favorite find. It’s simple and it works amazingly as far as comfort and protection are concerned. I got mine three years ago and haven’t replaced it since. There are a ton of cool color combos, though obviously, I’m partial to the black and gray versions. It’s a weirdly cool piece since it’s from a small, indie brand, and you rarely see other people sporting them at races or on group runs. We’re on the road a lot and one constant is that we always have a way to make coffee. The best piece for that, that takes up virtually no space, is this handy collapsible silicone rubber pour-over. (It’s also cheap enough that you won’t feel bad if it gets lost.) And we’re currently in love with Stoked Roasters (especially after meeting their founder, Jax). The coffee is wicked good and I think a quality coffee gift is almost universally appreciated. There’s also a subscription service option that would be an insane present for a coffee connoisseur. 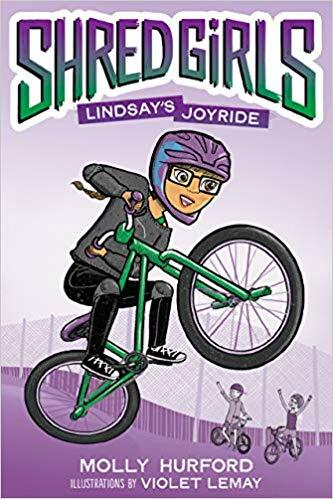 Have to have a little self-promotion in here, but if you haven’t checked out the Shred Girls and you have a young aspiring cyclist (or a young girl you hope will get out riding someday), check out the Shred Girls site. While the first book won’t be out until next year, there’s plenty of great stuff on the site, like interviews and tips from other ‘real life Shred Girls,’ and cool gear like the Shred Girls trucker cap. Add the Ryan Leech’s 30 Day Wheelie Challenge e-Course—only $30 when you give it as a gift—so your little shredder can learn to pop a wheelie in the new year! PS: If you’re not a trucker cap fan, there are also tshirts, baby gear and more options are available in the Shred Girls Shop! Know someone who’s always on the go and never seems to have time for breakfast? This is what I’ll be getting my dad (and my husband’s dad, to be honest) to keep their diets a bit more healthy when they’re leaving for work super early in the morning. Rather than skipping breakfast, adding the awesome instant coffee from Stoked Roasters in the form of Stoked Stix into hot water along with the unflavored, easy dissolve Vital Nutrition Collagen Peptides gives you a jolt of caffeine and a full serving of pure protein to start the morning on a better foot. Honestly, these make great stocking stuffers for anyone who travels a lot for work or pleasure. When a new female cyclist starts riding, it can be intimidating, even if she’s super speedy. From my own experience—and from the hundreds of women I’ve talked to about this stuff—one of the biggest challenges is that no one talks about the nether-region stuff… like not wearing underwear with your bike shorts, what to do about chafing or saddle sores, and whether you should use a pad or a tampon. That’s why I wrote “Saddle, Sore: Ride Comfortable, Ride Happy” and why it’s an awesome present for a new cyclist: it answers those questions and a ton more, without forcing your new friend into a conversation she may not be comfortable having. She’ll thank you later. Ditto with the Petal Power Chamois Cream, which is one of my absolute favorites for the super smooth, sooting, velvety texture. Get started with chamois cream early, avoid issues in the future! OK, for the cycling woman who has everything, I have a couple of favorite pieces. I’m a massive Velocio fan for their amazingly comfortable, flattering and downright practical kits (ahem, zipper bib shorts!) and their new Stained Glass collection is no exception. It’s new, so your friend likely won’t already own it, and these short sleeve jerseys are crazy stylish. On the cheaper end of the spectrum, one of the pieces I’ve been the most pleasantly surprised by in the last two years is the Performance Women’s Neve Thermal Long Sleeve Jersey, which, at under $60, is one of the best long-sleeves I’ve ever had. It’s warm enough for the mid-fall rides, and with a vest, it’s fine for early winter when it’s not quite jacket weather. It’s cozy, flattering, and mine has been through hundreds of washes and is still in great shape. The color in the image doesn’t quite do it justice, either: it’s a purple-y oxblood that’s super on-trend in the fashion world but not seen on any other cycling kits. My family and Peter’s family love doing candy and chocolate in stockings, but if you’re doing small presents or exchanging stockings with an athlete, why not get them something fun, but still super practical? I’m a huge fan of Nuun for hydration—it’s what I used for Ironman training and race day—and I think it’s a great choice for any athlete. (It’s also an AMAZING hangover helper for those post-holiday party mornings.) Then, there are Clif Nut Butter Bars. Again, used for Ironman, but again, also an amazingly handy snack to stash in the car for mid-long-drive munchies or on a plane for post-flight cravings. They’re a nice alternative to the more generic ride or run food, but not so crazy that the athlete in your life will politely thank you and then feed them to the dog or bury them in a drawer. We had author and yogi Erin Taylor on the Consummate Athlete Podcast a year ago to talk about her book, Hit Reset, that covers all things yoga for athletes. I loved the book so much that I had to buy an extra copy to lend out so that I always had one copy at home. It’s fantastic for someone who loves yoga, or for an athlete you know who really, really should stretch more. The same goes for YogaGlo, a really cool yoga video subscription service (netflix for yoga videos, basically). You can get a gift card for the $18/month service for a friend who needs a little more zen in her life or who wants to go to yoga classes but can’t find the time. I have a huge post coming on this, but I’ve been using YogaGlo daily for over two months now, and with 4000 videos that you can choose from (and excellent filters for style, length, teacher, etc. ), it’s been the best $18/month I’ve spent. RELATED: Morning Routines That Set You Up for Success: Are You Doing Any of These? Need a pick-me-up to get yourself through the holidays? What about a 3-month plan to kickstart your training goals?